Katie is Steed's second (third) Great Dane. 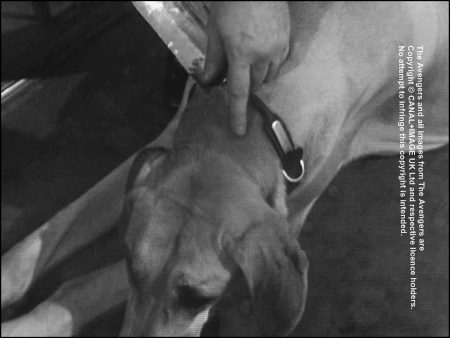 The agent already had another Great Dane called Puppy (Juno and Junia), in Series 1 and 3. 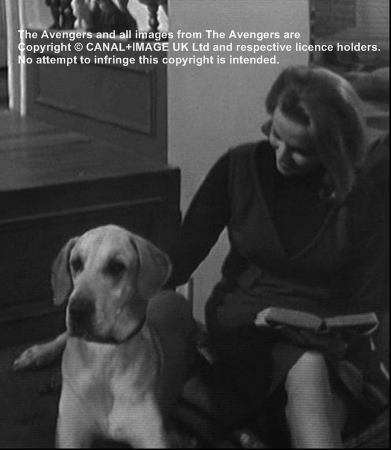 The new Great Dane Katie appeared as Steed's dog in only two episodes of series 3: Death of a Batman and The Gilded Cage. 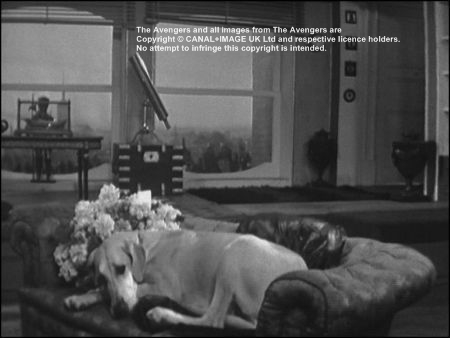 After that episode of The Avengers no more dogs lived in Steed's flat. In Death of a Batman Steed is in a hurry as he is going to the funeral of his former batman. His Great Dane Katie lies on the sofa and his black coat. Steed to Katie: ”Now look here, I’ll get a snake for a pet, if you don’t watch it. They only shed their coats once a year”. And Cathy later calls her "you great galumphing elephant", when the huge dog runs over Cathy's papers and photos while Mrs. Gale works in front of Steed's fireplace in Death of a Batman. 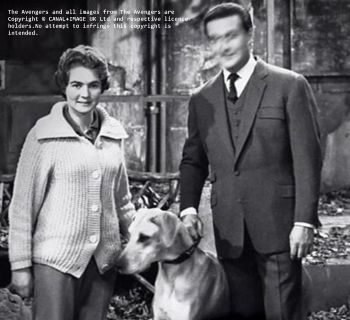 The dog is whimpering in the background in the scene when Steed is shot at in his flat in The Gilded Cage, and a photo exists from the set of The Gilded Cage that shows Steed/Patrick Macnee with Katie/Heidi and dog trainer Barbara Woodhouse. 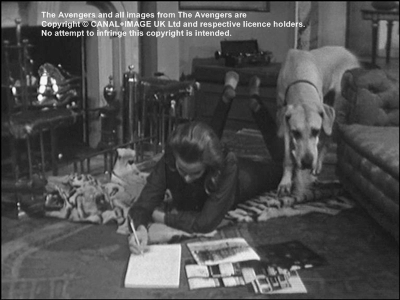 I did not find any evidence in books or other sources, but I'm quite sure that she's indeed Patrick Macnee's Great Dane Heidi, as she looks exactly like that dog that is Bellhound in Death of a Great Dane (credited as Heidi).